Allergies or cold weather giving you the sniffles? The PangeaBed claims to have a cure for that. This mattress is designed to regulate temperature and eliminate allergens with the use of heat conducting and antimicrobial copper gels infused into the latex. Pangea put hard work and tons of research into creating a product the company believes will provide a more comfortable and healthy sleep. 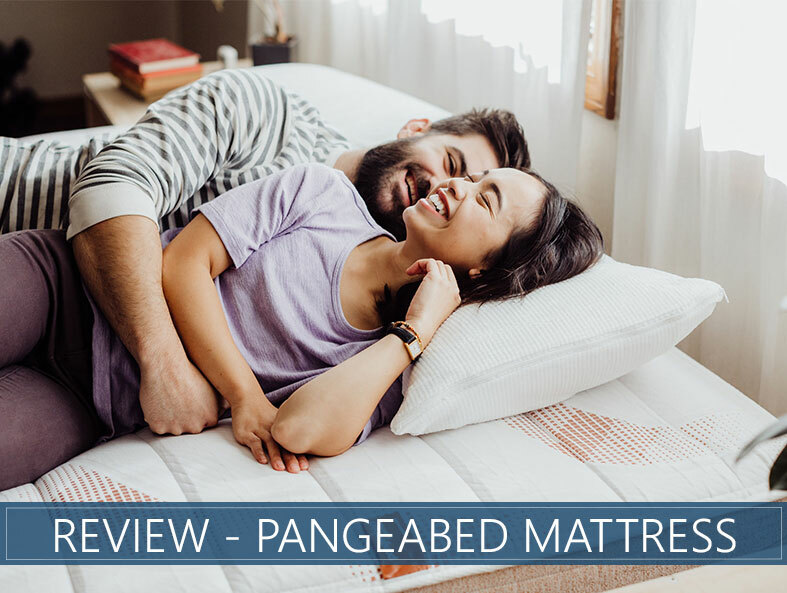 This in-depth review of the PangeaBed will give a detailed analysis of the features and construction of this product. We will also break down how this product scores in cooling, value, and more. Keep reading for our full review to learn the strengths of this mattress and who we think it is best-suited for. Or skip to the end for our final thoughts and scores. Suffer from allergies – The copper infused into this mattress is antibacterial and hypoallergenic. Allergy sufferers should enjoy an easier sleep experience as this material helps to eliminate pesky triggers. Want enhanced temperature regulation – The copper inside this bed should wick moisture away from the sleeper and regulate temperature. The transition layer is designed to promote airflow to further promote a cool sleep experience. Are looking for a Medium-Firm feel – Most shoppers should consider this brand to have a Medium-Firm feel. This is often considered to be a universal comfort level and should be enjoyable to most preferences. Back and stomach sleepers may be especially drawn to this feel. Prefer a Soft comfort level – Medium-Firm should be a fairly universal comfort level that most should enjoy. Some side sleepers or those who enjoy a softer mattress may find this brand too Firm for their needs. The PangeaBed™ Ultimate Copper Topper may be all that is needed to get that Plush feeling. For more options to suit specific needs, read through our top mattress guide. 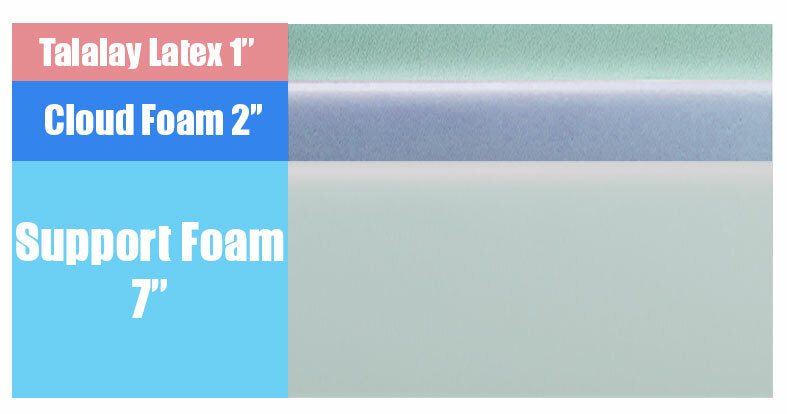 This is an all-foam mattress that features Talalay latex and polyurethane foam. The company promises this product can be used on any solid and level surface, including adjustable frames. They do recommend pairing the Pangea with their proprietary metal platform frame sold through their website. The 5/8-inch Soft Foam Quilted Cover is designed to feel Plush and breathable. This mattress is 10 and 5/8 inches tall. The first layer is a 1-inch layer of Copper Infused Talalay Latex. The copper should conduct heat away from the body to prevent overheating. This material could also provide gentle relief to allergy sufferers thanks to its antibacterial properties. The transition layer contains 2 inches of PangeaBed™ Cloud Foam. This is a polyurethane material that is designed to promote airflow and pressure relief. The final layer is made up of a 7-inch PangeaBed™ Support Foam. This should provide overall stability to the upper comfort layers and conform to the body to provide extra pressure relief. This product has earned a 7 on our Firmness scale that uses 1 as the absolute Softest comfort level and 10 as the absolute Firmest. This should feel like a Medium-Firm to most sleepers, which should suit most preferences, but most particularly stomach and back sleepers. The cover should feel Plush and inviting as you sink into the initial layer of foam. You should notice a medium cradle which gently conforms to the body. The aerated materials and copper-infused latex should promote airflow and prevent overheating. This mattress features moderate bounce and the latex is very quick to respond. This should allow the material to reshape quickly after you roll around, allowing for ease of repositioning. This should be ideal for combination sleepers. Back sleepers who like a Firmer support should enjoy the Medium-Firm feel of this brand. They should also experience sturdy lumbar support that promotes a neutral spine. Most stomach sleepers should find this product suits their needs very well. The Firm comfort level should prevent the hips from sinking too deeply, which can cause the back to arch. Some side sleepers may feel as though this item is a little too Firm for their preferences. Side sleepers generally prefer a softer feel which allows their hips and shoulders to sink into the mattress, avoiding a build-up of pressure in those areas. Most shoppers should enjoy this product’s comfort level. The feel is largely subjective and may be experienced differently for everyone, though some side sleepers may prefer something a little Softer. This mattress is designed to support up to 400 pounds. 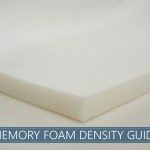 Generally, memory foam items are very good at dampening movement and eliminating motion transfer. Because of the bouncy nature of the latex, this brand may allow for more transfer of movement than is usually found in an all-foam construction. This may be a detriment for shoppers who are particularly sensitive to these types of disruptions, but most should not consider this a major concern when choosing their new bed. All-foam products tend to perform a little weaker in this regard than items with reinforced edges or those with coils, this is not usually a deal breaker for most shoppers. Most should find that this brand supports sleepers well when lying on the edge, expanding the usable sleep surface. A deeper compression may be noticed when sitting at the edge. Antimicrobial – The copper gel used in this item is antibacterial in nature and could help reduce allergy triggers. Trial Period – The PangeaBed offers a 100-night trial period. Warranty – The company provides a 10-year warranty. Shipping – Shipping is free within the continental United States. CertiPUR-US® Certified – The foam inside this product is certified to be free of chemicals like formaldehyde and has low VOC emissions. OEKO-TEX® Certified – The latex in this bed is certified to be free of harmful substances and is safe for children under 3 years old. Anyone looking to soothe allergies or regulate the temperature of their sleep experience could find their answer in the antimicrobial and conducting benefits of this copper-infused bed. Most buyers should enjoy the universal feel of this Medium-Firm mattress with a medium cradle. A quick response time and lots of bounce should prevent users from feeling “stuck,” aiding in repositioning. PangeaBed promises a cool, comforting, allergy-free sleep at an affordable price. This mattress should hold a lot of value for anyone looking for a healthier bedtime experience.